Is it worth the Price Tag to view 3D over 2D? I have only seen one movie at the theater in 3D. My niece insisted and took me to see Tim Burton’s Alice in Wonderland in 3D. My hubby and I have gone to the movie theater to see Avatar but he wouldn’t spring the extra cash for the 3D viewing. From what I have heard, Avatar is the same movie whether or not you see it in 3D. Even classic films that were released decades ago are now getting dusted off for some 3D treatment. Is it all about the extra money the theaters can generate? Having the 3D glasses was a real cool experience. I found myself ducking as tea cups were flying thru the air at me. To see Alice fall down the hole, I thought she was going to land in my lap. It definitely kept me awake (I have been guilty of falling asleep during a movie). People were swaying and had their hands in the air and bracing themselves for things to fall on them. Some people experience motion sickness. To avoid a 3D sickness, make sure you take a seat that is anywhere from the middle to the back of the theater. 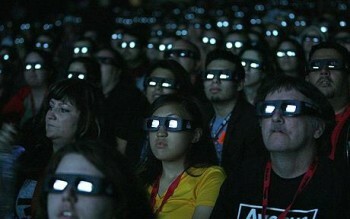 On average, a 3D movie will cost approximately $5.00(US) extra per ticket. If you’re taking your whole family out, it will cost you a premium. If you bring your own 3D glasses, some theaters will reduce the price of the ticket, although the savings are usually in the price range of $1.00, which is hardly worth it. 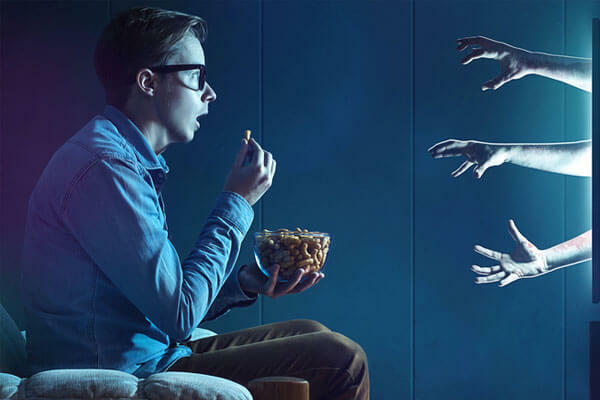 Even though your body isn’t moving, 3D movies are designed to fake out your eyes, making you think you actually are, in fact, moving. Some theaters ask you to drop the 3D glasses in bins outside the theater on your way out. Dropping them into those bins saves the movie theaters some money because they wash and sterilize them, then “rent” them to someone else who decides to see the movie. I kept mine, as I am sure a lot of people did. Naturally, cinema chains try to push their more expensive 3D movies as much as possible. The 2D version of the same movie will always be screened less frequently and often during inconvenient times of the day. If you want to watch the 2D version, you definitely need to check the show times in advance. I don’t know about you, but unless someone else is buying the ticket, I won’t be springing anything extra for 3D. I hate going to the theater, anyway. I just don’t like the whole experience compared to how it used to be before the prices went crazy. I am tall and many of the theaters have the seats so close together I have to throw my legs over the row in front of us or sit in an aisle seat. I would rather sit on my comfy couch, use my own bathroom, eat my own food and not have to share the room with strangers. The next time you head to the cinema and you wonder if you should watch a certain movie in 3D instead of 2D, you might want to reconsider and save some money instead. In my opinion, they are just a gimmick. What do you think? 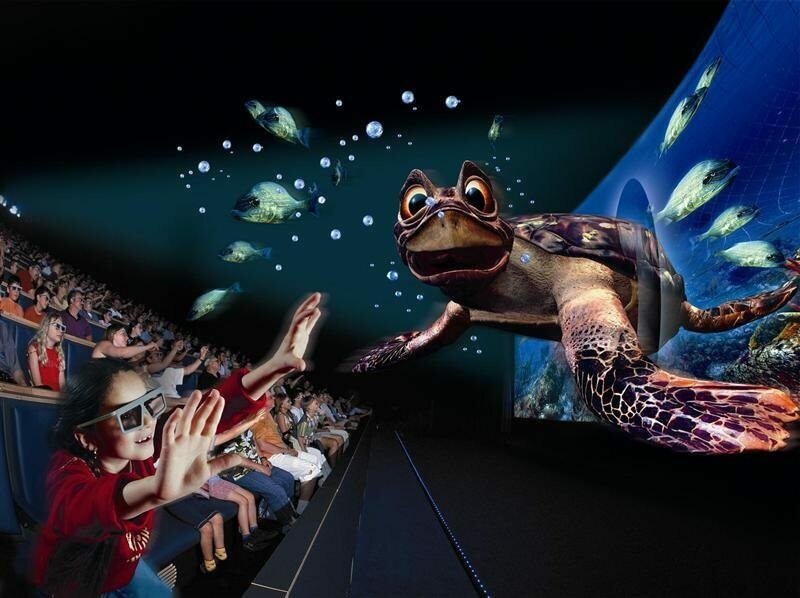 Have you seen any 3D movies that totally blew you away? Was it worth the extra ticket price? Did you experience motion sickness? Do 3D films have a future or will they become extinct? Prev:How To Take The Ultimate Selfie! A long-standing Computer Geek with over 25 years of experience. Having owned her first Apple IIe and moving on up the ranks with a multitude of Windows-based pc’s to her latest toy, a Dell Venue 11 Pro tablet with Windows 10. Sherri repairs, upgrades, and recycles computers as well as consults, trains & designs Websites. She is a Former AOL Community Leader and loves forums as well as online training. She created the "Camp Wired" computer training program at the Medina County Library system, 8 years ago. It is a free computer education program teaching technology in a relaxed atmosphere where students at all levels get to mentor other students and grow in their knowledge and understanding of technology. This program runs year round with no signs of slowing down. As to is films made in 3D, it boils down to the simple question of “was the film made for 3D?”. I saw the 7th installment of Fast and Furious and it was excellent. Jurassic World was a disappointment as were a few others I saw in 3D as well. Should point out they were in IMAX 3D, and Sundays were half price (glasses included), so the cost was great. The newer glasses are easy on the eyes and cleaned at the place we frequent. Don’t remember is that latest (bomb) movie in the Star Wars series was also in 3D, as it was a bust, Mindblower! Hey Mindblower, sorry have not responded sooner been out of it as I have been very ill with shingles. Fast and Furious in 3D, now that sounds like a win win choice for the movies. Did you feel like the cars were going to drive off the screen and hit you? Sorry to hear you were hit with shingles. I was vaccinated against it over a year ago.